July 2017: Access to Lizzie Lake Camp (Lizzie Lake Recreation Site) The 2WDHC forest service road to the new Lizzie Creek Bypass Trail trailhead has been improved over the past few years for logging and hasn’t been deactivated. Our map shows this road as 4WDHC but it currently has a rating of 2WDHC due to the improved condition. It’s a bit rough but not too steep. As of autumn 2016 it was in fairly good condition. The Sea to Sky Recreation District has asked the licensee to try to keep it maintained when they are in the area but is not actively maintaining it. The first switchback is the steepest then it gets better. 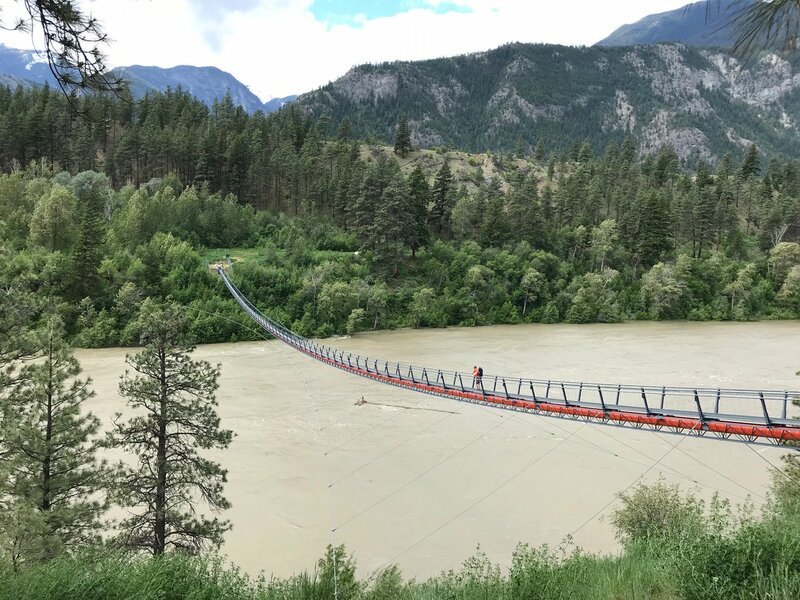 May 2017: Stein Valley Nlaka’pamux Heritage Park: For the most recent BC Parks Trail Information Update May 2017 – December 2017 click here: www.env.gov.bc.ca/bcparks/explore/parkpgs/stein_val/trail_report.pdf Updates on access via Lytton Trailhead, Lizzie Lake, Blowdown Pass, Van Horlick Creek Road plus updates on trail conditions and campgrounds. August 18, 2016: The new bypass trail at the start of the Lizzie Creek Trail is progressing. From the old bypass trailhead, continue following the main road uphill eastward. At ~1.3 km past the old bypass trailhead, at an sharp switchback corner, is the flagged trailhead for the new bypass trail. Most 2WD vehicles can access this trailhead (the road has been improved over the past couple years due to active logging in the area) located at ~540 m elev. Roadside parking is available near to the trailhead. Currently there are no signs, although there are plans to erect some in the future. Though not fully completed yet, the new bypass trail will be well constructed and marked along its ~1 km length. Reports are that the grades and construction of the new bypass trail will make this a much safer option than the older, lower bypass trail. 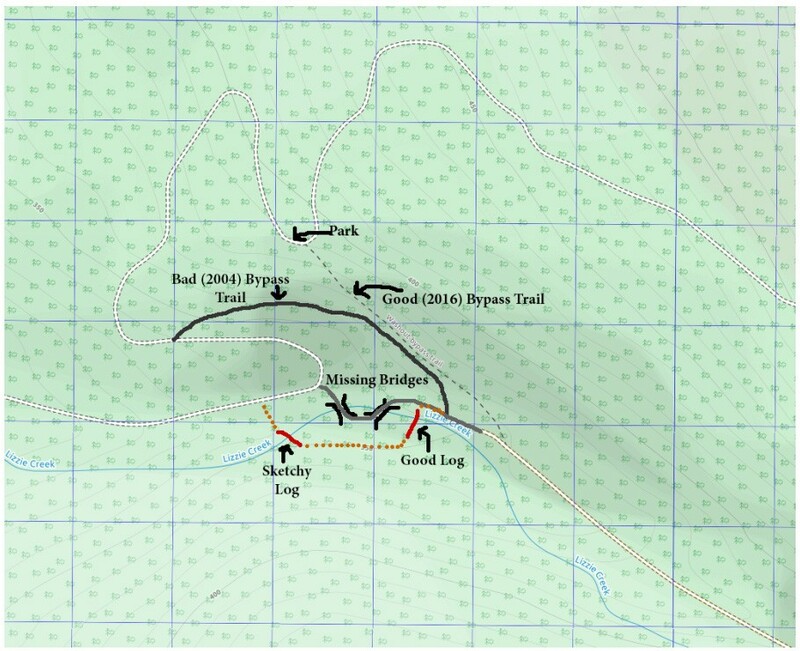 Note – our Stein to Joffre trail map shows the old bypass trail and will be updated for the next edition to show the new bypass trail. The clearing of the old road up to Lizzie Lake is also on-going. After the crossing of the ‘E Fork’ of Lizzie Ck (shown on our map) the road has been cleared out part of the way up towards Lizzie Lake. Plans are to clear out the remainder of the old road to Lizzie Lake and also to clear the Lizzie Ck Trail of the significant windfall above the lake. Hopes are to have the work noted above completed by year’s end. There are no plans to improve any of the creek crossings in this area. This work is being done by the provincial government and is being overseen by Rec Sites & Trails BC. Once this work is completed, we expect the safety and enjoyment of the Lizzie Ck Trail will be much improved. 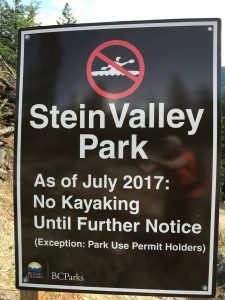 Kudos to Rec Sites & Trails BC!